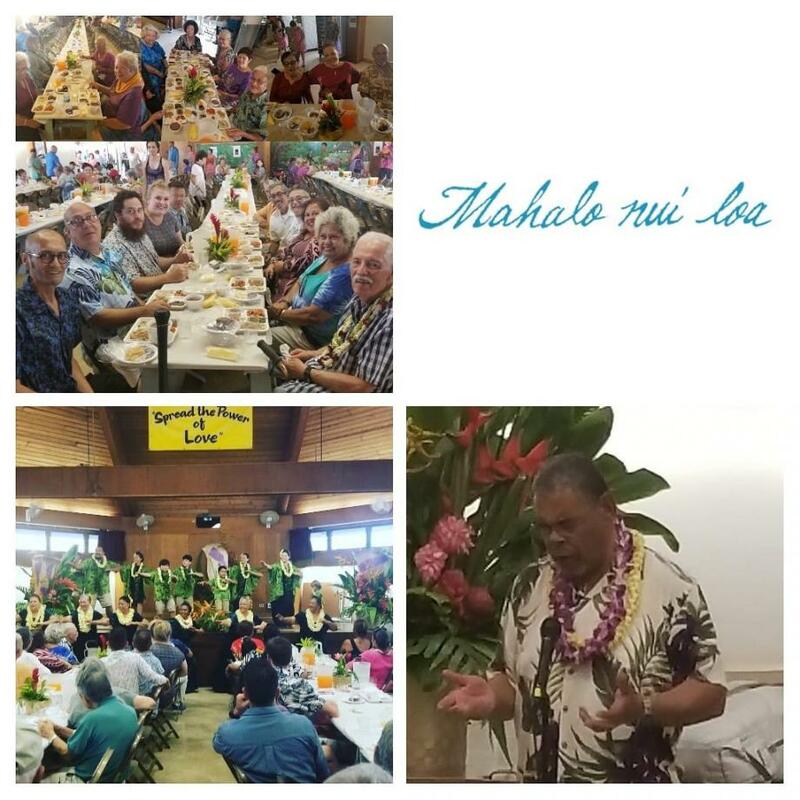 Nā Kūpunawahie thank you so, so much for your hard work in making Kaumakapili's 47th Aunnua Lūʻau a success. We could not have done it without your leadership, your loving hands and your willing hearts. Evident was the support and cooperation that we all gave one another. Even when we were tired, we still kept the smiles and the aloha circulating. That's what the fellowship was all about. And all because we put our TRUST IN THE LORD. Amen, Amen and Amen. Menu: Kalua Pig, Chicken Long Rice, Lomi Lomi Salmon, Poi, Poke, Cake, Haupia, Pineapple, Sweet Potato, and Juice. For our Sit-Down Dinner patrons only: Add our famous Squid Lūʻau! Volunteers come out each year to help prepare for our lūʻau. We mahalo the many groups, organizations, and churches who come to kōkua. For example, one organization is the Life 360 Network. Learn more about this organization that believes in "mentoring youth through creativity" by visiting their website life360network.org. 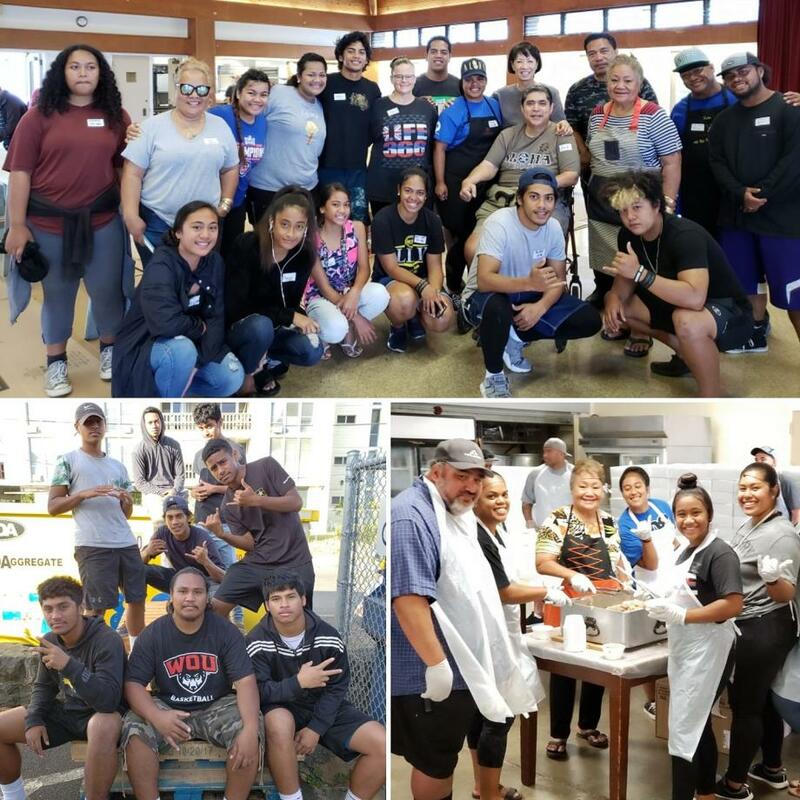 Our annual lūʻau fundraiser benefits Kaumakapili Church so that we can further serve the community spiritually and through our outreach efforts and programs. 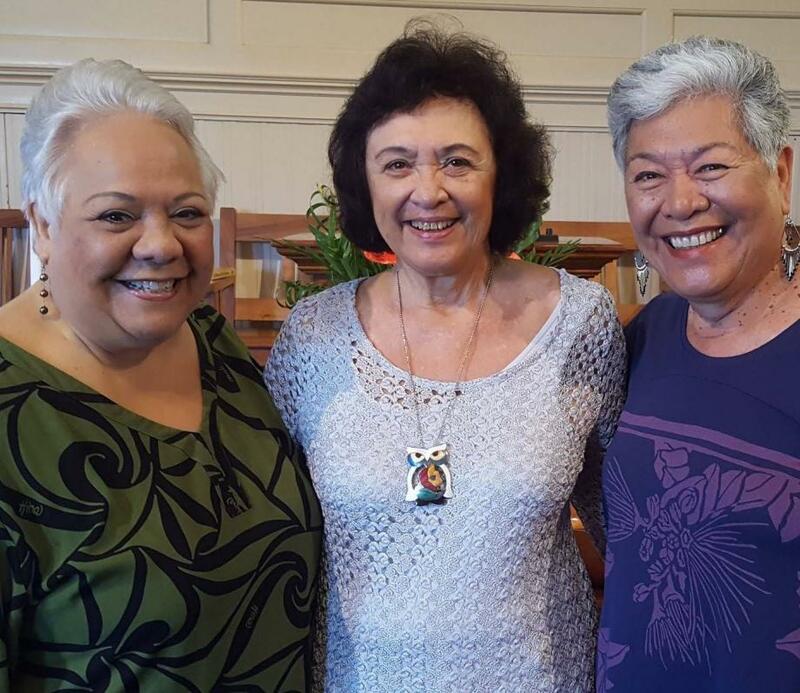 Kaumakapili Church's annual lūʻau has been featured in Hawai'i magazine, Honolulu magazine, The Honolulu Advertiser, The Honolulu Star Bulletin, The Honolulu Star-Advertiser, and on local television stations. Our authentic lūʻau is consistently heralded as "the best value" in authentic Hawaiian lūʻau food and experience. Painstaking preparations by church members and families make the food quality unbeatable. We appreciate all the ʻohana who make this possible each year.